Rob and Janina Cushman, a couple from Hilton Head, South Carolina acquired Le Mandorelle in early 2000, and subsequently purchased the surrounding property to create an estate with an award winning vineyard, olive orchard, and beautiful gardens. 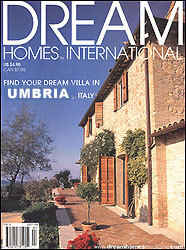 This wonderful villa is now for sale. Rob and Janina have created a one of a kind property in Le Mandorelle. A booklet prepared by the present owners introduces all the local activities, off the beaten track excursions, as well as excellent restaurants in the surrounding countryside. For a unique experience, Le Mandorelle is the answer! Le Mandorelle is perfectly situated between Rome and Florence to allow it to be used as home base to explore Umbria, Tuscany and Lazio as well as the wonderful cities of Rome, Orvieto, Spoleto, Perugia and Florence. After a fun day of sightseeing, there is no better place to come back to than, Le Mandorelle! 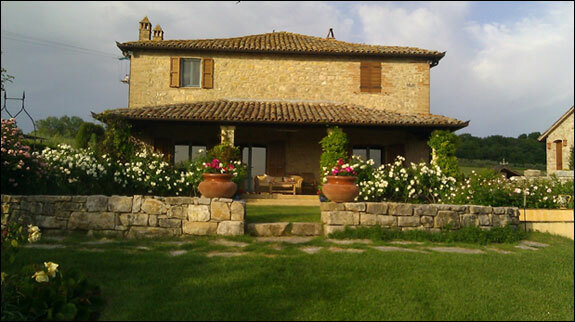 For those who want a European golfing experience, there are two excellent courses near Perugia. Click here to take a tour of Le Mandorelle! 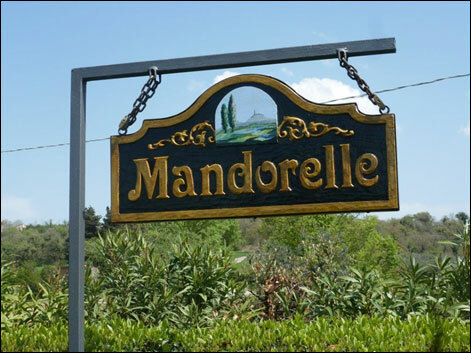 Le Mandorelle means "Little Almond" in Italian.